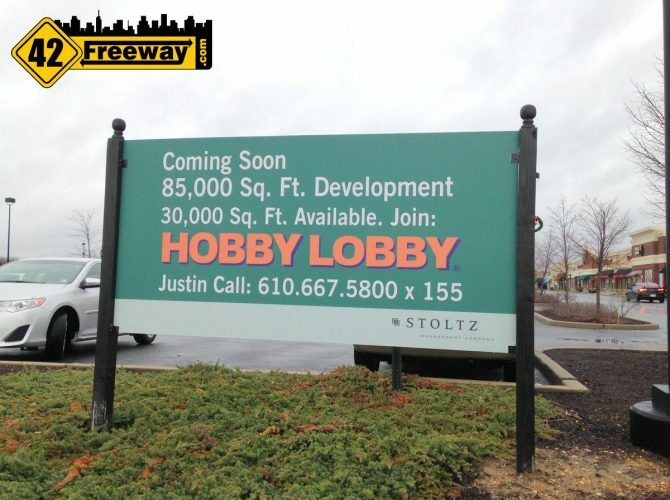 The five year old Shoppes at Cross Keys in Gloucester Township (Home of Texas Roadhouse and Bertucci’s) recently received approval for an 85,000 sq foot retail addition, and the big fish they’ve landed to fill a large portion of that space is Hobby Lobby. Hobby Lobby is a retail arts and crafts store in the same category as Michael’s and AC Moore. 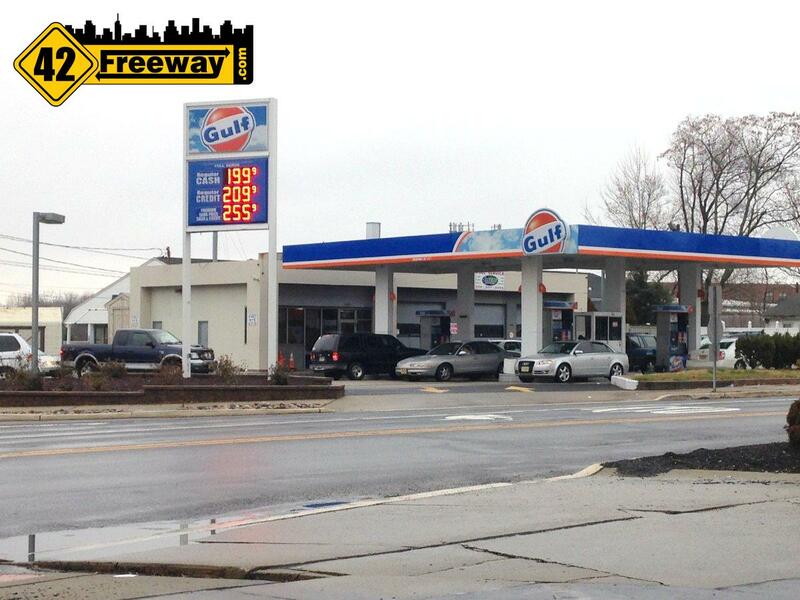 Looking at the store locator map, while they have a location in Millville NJ, the Gloucester Township store appears to be the first in the immediate Philadelphia metro area. Hobby Lobby is a privately held corporation, ranked by Forbes as the 138th largest privately held corporation in America, with annual sales of over $3 Billion Dollars, approximately 600 locations and over 23,000 employees. Another distinctive aspect of Hobby Lobby is the owners have very strong Christian beliefs which influences their management decisions. All stores are closed on Sundays so that family members have time to worship and spend time with their families. Also, the stores made national news in 2014 when management chose to not offer contraceptives to employees as part of the Company provided health-plan, citing a conflict of religious beliefs. The case went up to the Supreme Court, and with a 5-4 decision Hobby Lobby won the case. Recently, residents in a Deptford Facebook forum were commenting about Hobby Lobby moving into the same Almonesson Rd shopping center as the upcoming Burlington Store. In a September facebook post on the Hobby Lobby page, the page admin was asked about a Deptford store and the admin replied that none were planned for Deptford. 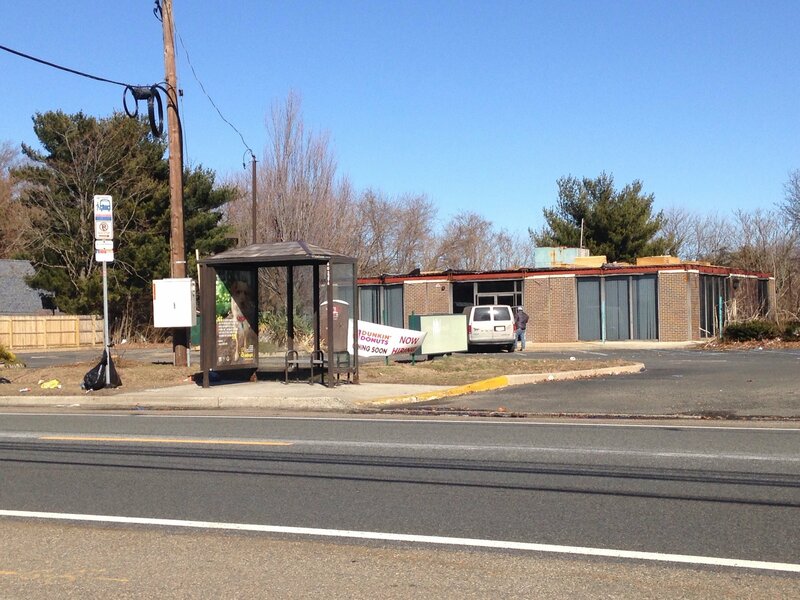 The news of the Cross-Keys store makes one think that there was some truth to the Deptford store rumor, but in the end Gloucester Township won out. Others have reported that the Shoppes at Cross-Keys has seen some rough spots since opening, and supported that statement by identifying the store turnover. But it is interesting to note that they continue to pull in new tenants, and see financial benefits of expanding the center. Coupled with the upcoming Premium Outlet Mall (which is seeing fast development progress), Gloucester Township continues to challenge Deptford as the retail center of Route 42. 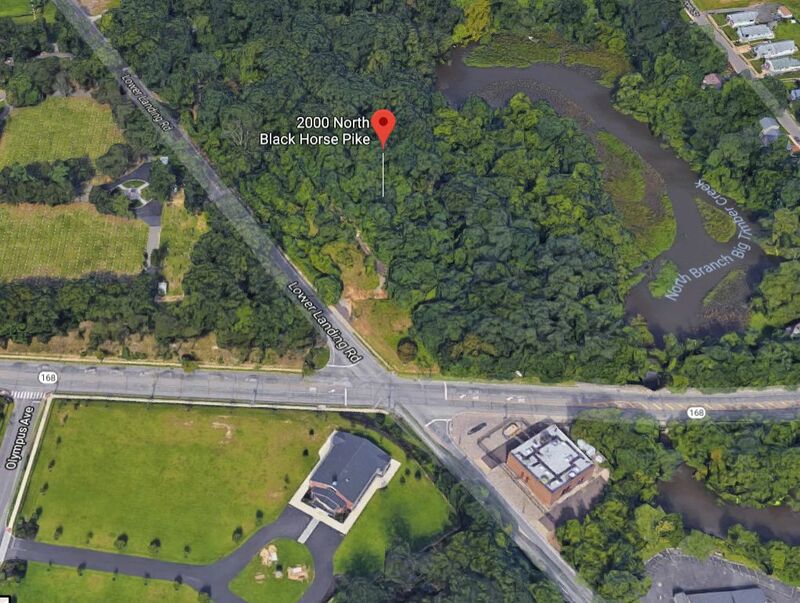 A four story Holiday Inn Exrpress and Suites is proposed for the Glendora section of Gloucester Township, at the intersection of Black Horse Pike and Lower Landing Road. This is the site of the former Black Horse Motel, with its locally famous neon sign and rumored "Eddie and the Cruisers" connection. I would like to know when applications will be available. Still looks like a long way off as construction has not started yet. CarMax is opening across the street from there, and have been hiring. Do a google search! Is this store open in Glouester Twsp yet? Many many months. They just started marking out the field and tore down a performance stage they had there. Hopefully before the holidays.